I am pleased to announce “The 2015 NorthEast Stick® _Seminar”. This will be held in Hamden Connecticut at “1253” 1253 Whitney avenue, Hamden Connecticut Saturday and Sunday, April 11and 12. All skill levels are welcome. If you don't have a Stick, a limited number of instruments will be available on a first-come, first-served basis. Instruction will cover a broad range of subjects, including basic technique, instrument setup, fretboard navigation, chord chemistry, etc. With well over 100,000 albums sold and several hundred students to his credit, Bob Culbertson is one of the most influential touch soloists today. His musical style ranges from light jazz with folk and blues flavor to classical with Spanish, contemporary, and traditional influences. Bob began playing the Stick 38 years ago when introduced to the instrument by its inventor, Emmett Chapman. The Stick is a ten to twelve- string instrument that bears both guitar and bass elements. The player taps the strings with their fingertips to make sound vibrations, similar to playing a piano. Each hand moves independently of the other to produce a rich blend of melodies, bass, and chords. The sound of the stick is transcending and the visual of the musician playing the instrument truly captivating. Culbertson’s recordings have been described as “the sound of the Stick in its purest form”. His CD releases are live, solo recordings with the use of no effects except a small ambient use of reverb. He played an integral role in the development of the first acoustic stick, designed purely for the tapping method of playing. Bob has since released Acoustick Dawn, the first ever recording with such an instrument. Other recordings include Celtic Waters a study in traditional Celtic Styles and a recent release of all Beatles music. Bob plays a variety of festivals, gigs, and concerts annually. He has toured nearly every state in the US as well as over fifteen countries worldwide including France, Australia, Canada, New Zealand, and Japan. His concerts include openings and performances with the popular acts; Robin Trower, Robben Ford, Eric Martin, Tuck and Patti, Steve Morse, Doobie Brothers, Allan Holdsworth, Sheila E, Leon Russell, Dave Mason, Babatunde Olatunji, Neal Schon, Alex De Grassi, Fattburger, Micky Hart, Zakir Hussain, Fog Hat, David Grisman, Abraxas, Robin Hitchcock, and members of Santana. 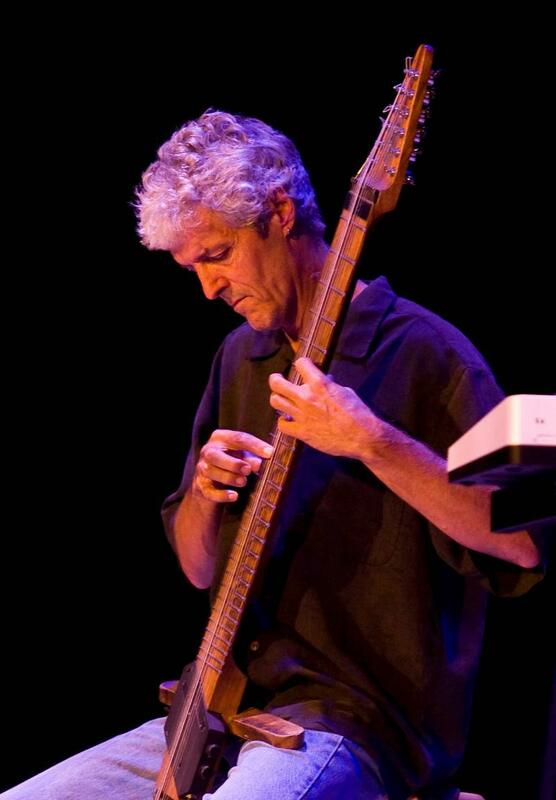 East Coast musician and composer Greg Howard plays jazz, rock, and improvisational music on the amazing Chapman Stick. Building on familiar Western repertoire like The Beatles, Miles Davis, Jimi Hendrix, Charles Mingus and The Police, Howard adds layers of Middle Eastern and Asian harmonies, polyrhythmic grooves and expansive electric textures. Equally at home on stage as a soloist, in a "power duo" with drums, his five-piece UpTet, and free improv trio Azul, Howard has performed around North America, Europe and Japan, including appearances at the Montreal Jazz Festival, the Berklee College of Music in Boston, and the Lincoln Center Summer Festival in New York. Greg's eleven releases have ranged from studio productions of Latin and Flamenco-inspired jazz ensemble tunes, lyrical solo compositions, improvised groove poetry, and lush progressive rock, to a one-hour live solo improvisation. He also performed as a guest artist on tour and in the studio on the triple platinum Dave Matthews Band CD "Before These Crowded Streets" and in duo with guitarist Tim Reynolds as Sticks and Stones. Greg has also opened tours for diverse artists like Porcupine Tree, John McLaughlin and Michael Manring. As one of the most active teachers on The Stick, Greg has taught over sixty seminars on Stick technique since his first in 1996, and has produced two books, a CD and DVD of lessons on his approach to Emmett Chapman's Free Hands two-handed tapping method. 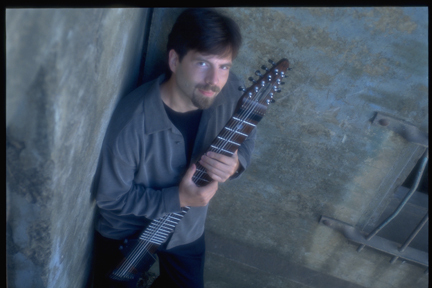 in 1995 Greg co-developed the StaffTab fretboard notation system with Emmett Chapman. He teaches lessons via Skype to students all over the world, and is on the adjunct faculty of the McIntire Depatment of Music at the University of Virginia. Brett Bottomley has just released and exciting CD with his Group “Toy Masheen” and is currently at work on his second solo Stick CD. Brett is one of the most active stick players on the east coast and regularly plays gigs from Los Angeles to the UK. There will be a meet and greet on Friday night at The Old Dublin in Wallingford. Classes will be held from 9-5 on Saturday and 9-5 on Sunday at “1253" Whitney Ave. Hamden, CT. Hamden is located just north of New Haven, convenient to the New York and Boston metro areas. The Cost is $200 US per student and includes admission to Saturday night's concert. Space is limited, sign-ups on a first-come, first-served basis. Stick is a Federally registered trademark of Stick Enteprises, Inc., and is used with permission. The cost includes @ days of instruction, as well as admission to the concert Saturday night.